Only one more week till the most romantic day of the year! We would like you to make a project for Valentines Day! 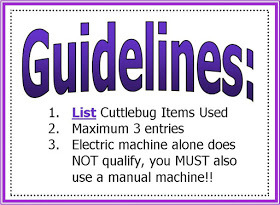 A spot as a Guestdesigner at Cuttlebug Mania!!! I love this Die set, so many hearts!!!! so I made a Snowman Valentine card. 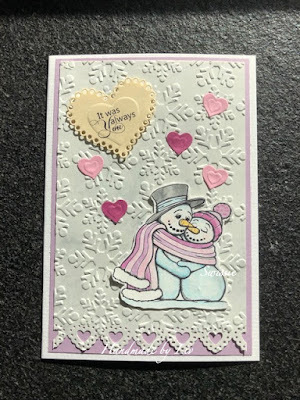 I used: Snowflake embossing folder: unbranded, Heart dies: Spellbinders, Heart border punch: Martha Stewart. Image and Sentiment: Beccy's Place. Pretty creations DT! Thanks for the fun challenge!